Advice for New (or Soon-To-Be) Dads! For all of you new dads, or soon-to-be dads, we’ve got something special for you this week! We’ve asked some of our friends to give you their best advice as you start out on your fathering journey! 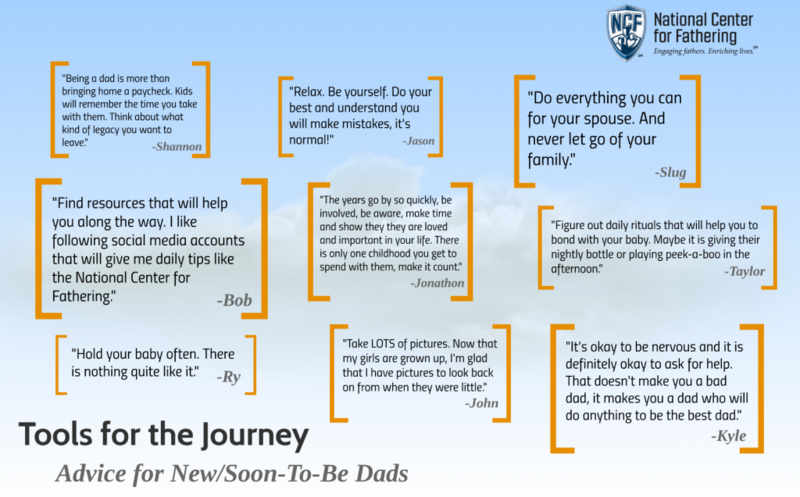 Here are some of our favorites in this week’s Tools for the Journey: Advice for New/Soon-To-Be Dads! Dads, comment below using Disqus and tell us what other advice you would add to this list.